CODE Humpback is an installation project merging ideas about encrypted signals and inter-species communication. 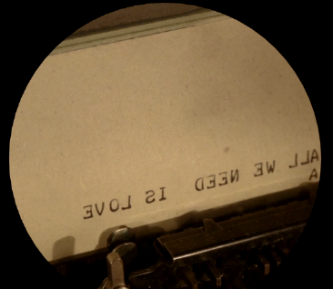 This is the 'All We Need is Love' video that is rear projected inside scoop B. Please see the installation video if you haven't. I’m collaborating with SETI Institute scientist Laurance Doyle, who along with colleagues from UC Davis and the Alaska Whale Foundation have used the mathematics of information theory to determine that humpback whale vocalizations have rule-structure complexity, what in human languages is called "syntax." The humpback communication system is an ancient global language - yet we remain effectively alien to each other.